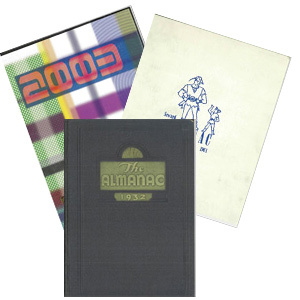 We have received many requests from alumni to obtain copies of their yearbooks. Unfortunately, with very limited exceptions, there are no extra copies of the yearbooks. However, we have been able to have all of the yearbooks in our archives scanned. We will be happy to send you a CD copy of your yearbook for a $25.00 donation to the alumni association. Be sure to let us know which year to send you - the available years are shown within the dropdown below.